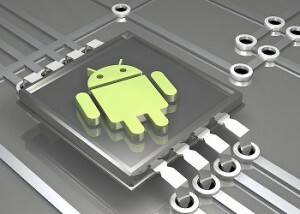 As you can imagine, will not be devices with the latest newness of the market or will allow us to have the best resources to play games or watch movies, but enough to perform daily and basic tasks like free internet browsing, watch a movie or series in streaming or play less demanding Android games that you can find in your favorite store applications. 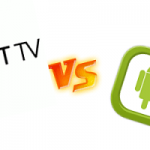 In this section of our comparative about cheap Android TV under £100, let’s take a look at the specifications usually look or choose when deciding buy an Android TV. At this moment, the latest version of SO Android that there is in the market is the Android 5.0 Lollipop, but as you can supposed, neither of the Android TVs exposed here has it. Maybe with the time, some of the makers companies gives the possibility to update the firmware of their devices to can update their SO. All of them integrate version 4.2, except Andoer MK903V that incorporates version 4.4. 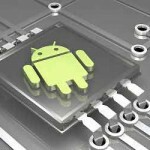 The version Android 4.2 manages the memory correctly, providing a speed and fluidity working pretty good, where we not notice slowness in process or going from one to another. The version 4.4 presents the difference that takes less space in disk and gives the possibility to keep multi user accounts, where each home’s member can to have customized his desktop, with favorites applications and all in his like. The speed and fiability respect to previous versions is practically the same, so we not notice so much difference between versions. 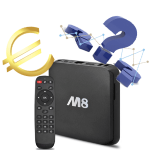 Both versions give the possibility of connecting DLNA and Miracast, so can connect your tablet or smartphone with the Android TV and share different multimedia files, or with other devices that they are connected to the same net. 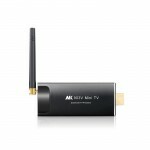 Another feature to keep in mind in these cheap Android TV under £100 is their RAM memory. Having greater or lesser capacity of RAM memory influences us when you have several opened applications opened at the same time or doing streaming from internet, because the RAM memory actue like storage. 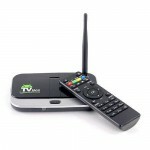 The MX AML8726-MX as the XBMC Android SmartTV Box Quad Core have 1GB RAM only, enough to do daily tasks, without great effort. 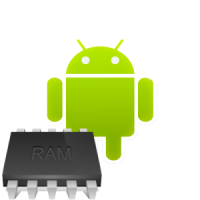 In effect, this RAM limit us a little bit to use applications that demand a great resources even we would notice something of freeze when we play any movie or serie from internet. Even so, for basic funtions, we have enough memory. 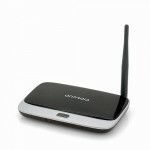 It not happens with the Andoer MK903V, the ATV Quad Core or the CS918S, because have 2GB RAM. With them we can have several opened applications at the same time without to notice disfluencies, run applications although albeit somewhat demanding and watch movies and series without annoying delays. As usual, choose the memory corresponds at user and the finality than he has though for his Android TV. 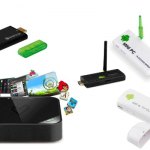 The ability to store many applications and multimedia files is one of the aspects that consumers look for when choosing an Android TV. 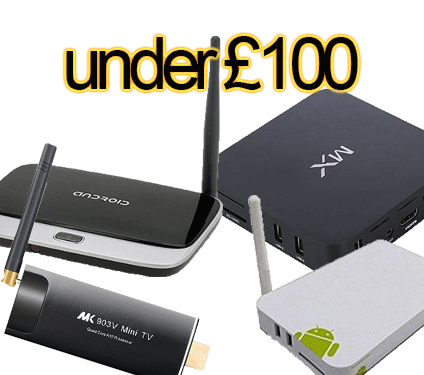 In this comparative Cheap Android TV under £100 we are going to point out the capabilities of each of the above listed. 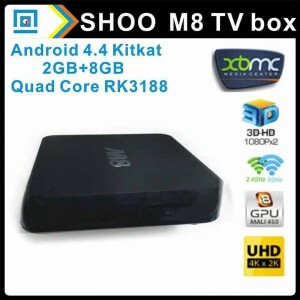 The XBMC Quad Core Android SmartTV Box has a capacity of 8GB, like the Andoer MK903V, the MX AML8726-MX and ATV Quad Core. At this storage capacity must deduct pre-instaled applications and the operating system itself. Fortunately, we can always make use of MicroSD cards up to 32GB to expand this capability. Even we can add through its USB ports for external storage units if necessary. Here, the caveat is lodged by the CS918S Quad Core A31 which has a 16GB internal storage apart, of course, other possibilities of extension capacity. In any case, if you bring a good control of applications and multimedia files stored not have to stay short in no time. 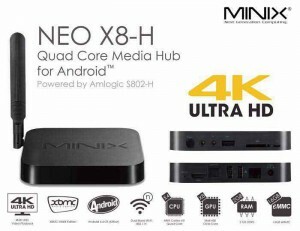 In the XBMC Box Quad Core Android SmartTV see that integrates a CPU Allwinner A31 Quad Core 1.2GHz, along with a GPU Mali-400 Quad Core. A powerful and fast CPU, able to give fluidity to the entire device without feeling delays. A quite acceptable CPU. Its GPU gives us a good graphic quality for applications and games, able to support 2D and 3D games. Supports decoding for the most common formats although there that use an external player. A pretty decent SoC broadly for normal use, without great demands. In the case of ATV Quad Core we find a CPU RK3188 Cortex-A9 Quad Core to 1.8GHz and GPU Mali-400. About their GPU nothing new to add. Their CPU is quite powerful, from Rikomagic trademark, widely accepted by the consumers in general and with great results in terms of speed and fluidity in the process, although prompted some more effort. For the MX AML8726-MX we can find the AMLogic 8726-MX Cortex-A9 Dual Core CPU to 1.5GHz with the Mali400 GPU known already. Your CPU does not stand out too much of the above, also offering speed and fluidity, good performance according to price. 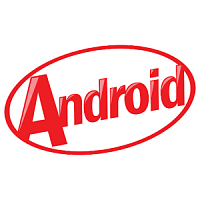 For Android 4.4 Andoer MK903V we find significant differences. Their CPU RK3288 Quad Core A17 offers more power than before, with better power management. A CPU that offers exceptional power which itself can require large workloads. Also notable for its GPU a Mali-T764, high quality graphics power and resolution, admitting the latest in video formats, including resolutions up to 4K. 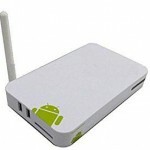 Definitely a powerful Android TV that fits in the palm of your hand. Just with CS918S Quad Core A31 which integrates a CPU Allwinner A31s Cortex A7, powerful enough not disappoint, and a GPU PowerVR SGX544MP2 capable of supporting formats current videos, giving a resolution of up to 4K and efficient with graphics, either 2D or 3D games. Definitely a SoC that we require enough without notice performance faults. As we can see in this price range Android Cheap TV under £100, there is enough diversity. Would highlight the last two as the best options when contemplating buying an Android TV according to their power and graphic quality. Obviously, this makes their prices are a little higher than others, but for a little more worth having a more powerful device without leaving our goal of under £100. In terms of connectivity, we are somewhat cut due to its low price. 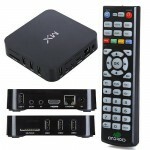 All models presented here have HDMI output, Wi-Fi and Bluetooth. Also included 10/100 RJ45 Ethernet connection, except the stick. To expand the internal memory, all of them have MicroSD slot up to 32GB so, as we said before, you can solve the problem of internal storage. As we see, in terms of connectivity, we find no obvious differences, except for the amount of USB ports, as in the case of the stick, is limited by its size. 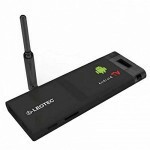 As we have seen in this comparitive of cheap Android TV under £100, the differences between them are not too noticeable. They are very capable of performing the most mundane tasks and offer many hours of fun and entertainment for the whole family, from the comfort of the couch at home. 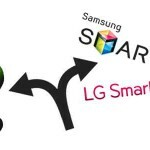 If your idea is to turn your TV into a smart TV, without spending huge amounts of money to enjoy internet on the big screen, watch movies or series that you have saved or from internet and play your favorite games or your favorite android apps , any cheap Android TV under £100 exposed may be up to your expectations but without pulling teeth. As always, everything depends on what ye use. Now all your need decide for any of them based on your needs and your budget. ¿ Where you can buy them ?